Tisdale's Elementary School is a block away from where I have lived for the past eleven years and during that time a lot of snow has come and gone but in all that time I do not recall a the sidewalks around the school being in the condition they are right now.It is almost two weeks since the storm and over a foot of snow is trampled on the sidewalk in front of the school. The only sidewalk that is clean is the one from the street to the main doorway. Each day hundreds of children come and go to this building which handles children only up to grade five so these are small children and their parents come to pick them up in a convoy of vehicles every morning, lunch hour and after school, yet the sidewalks are a disaster. Tisdale has always been proud of its schools and the way it maintains them year round. Our playgrounds are kept up, the fences maintained, and the sidewalks always cleared of ice and snow. What has changed? Last year Tisdale School Division ceased to exist as its schools, those of Hudson's Bay, Nipawin and Melfort were combined into a large school administration. 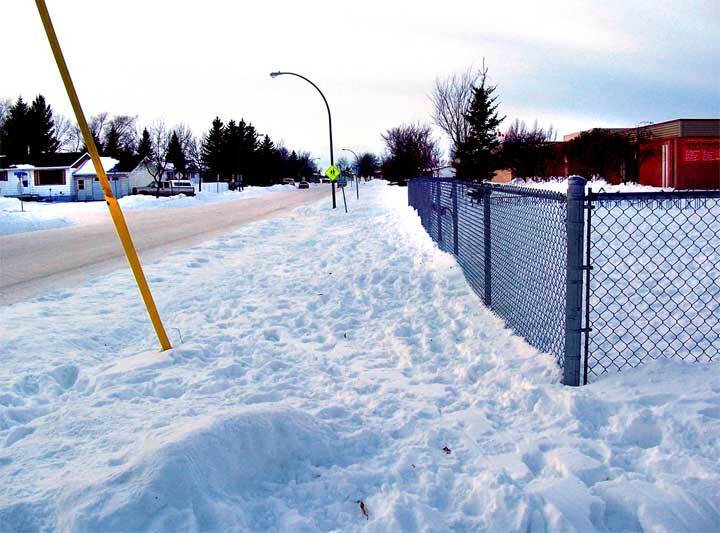 Is there a link between zero snow removal and larger school administrative area? If a society abandons its children, leaving them to fend for themselves and wade through deep snow they will so realise that they are not important to that society and essentially that society is doomed. The message sent to each and every child in the Tisdale Elementary School is that it is okay not to clean up after a storm, that children and their safety is not important. If this problem is left un addressed it is a very black mark against the school system and the administration of our schools.